This is what Stoke Interactive is all about: beautiful design, innovative ideas, all while helping the world! 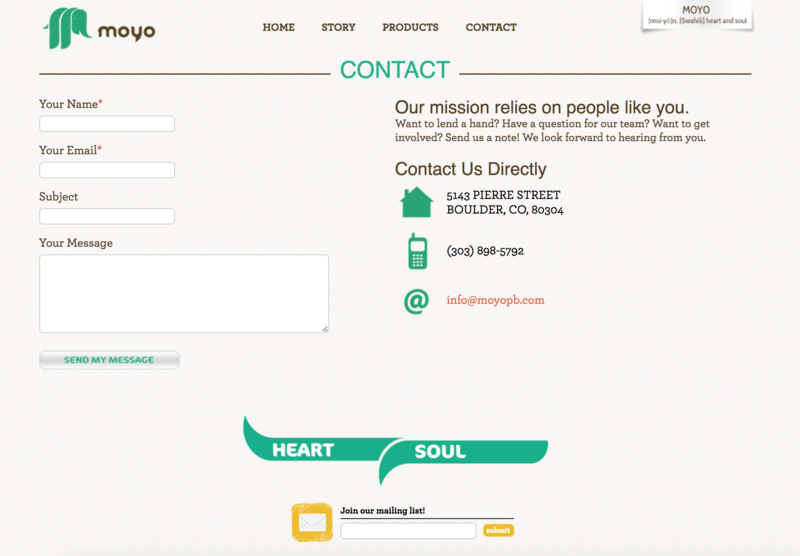 When the founder of MOYO Peanut Butter came to the Stoke Interactive owners several years ago, MOYO was just an idea. Today, it is a newly launched company based in Boulder, Colorado. At Stoke, we have had the honor of watching the project grow from a small idea into a full brand and product line. We supported every step along the way in bringing MOYO to where it is today. So what is MOYO? MOYO, meaning ‘Heart & Soul’ in Swahili, is nutritionally enhanced Peanut Butter with whole-food ingredients, designed to fuel your feats of greatness – at the office, in the airport, or on the playground. It’s perfect, portable nutrition for anyone, anywhere, anytime. Developed by a team of elite athletes, sports physicians, and nutritionists, MOYO is the superfood alternative to sugary sport gels and bars. As an all-natural superfood, MOYO is formulated with omega 3s and whole-food micronutrients believed to decrease general inflammation, improve heart health, and regulate body weight. Consider it your secret weapon for training and competition. The coolest part about MOYO Peanut Butter, is that for every ounce of MOYO you buy, an ounce of life-saving therapeutic peanut butter is donated to a malnourished child. This makes MOYO good for your body, good for your soul, and good for the world. 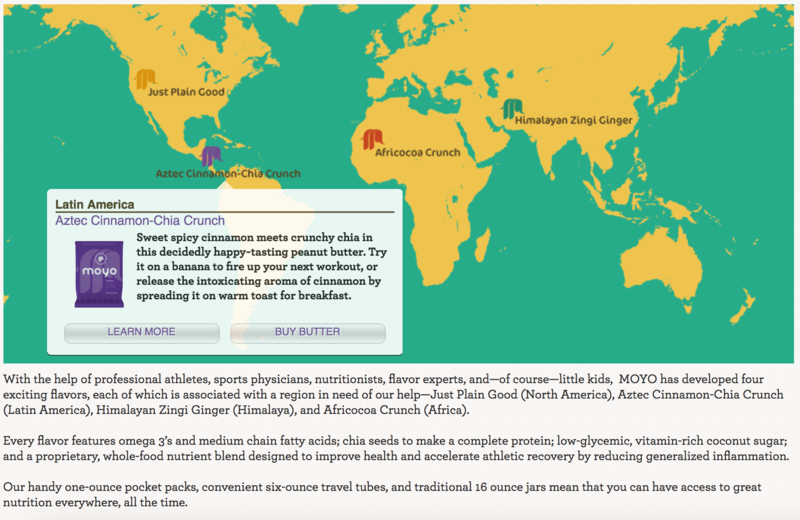 MOYO Peanut Butter is available in four unique flavors: Just Plain Good — representing the United States; Aztec Cinnamon-Chia Crunch — representing Central America; Africocoa Crunch — representing Africa; and Himalayan Zingi Ginger — representing Nepal.